First and foremost I need to stress that this is purely a build meant to farm Forsaken City. Because of this any stats, skills, or functionality past Lv45 is 100% irrelevant. 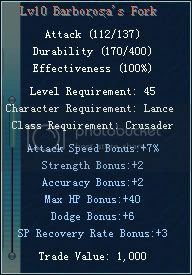 With that in mind this guide should help you create a Crusader that can EASILY farm Forsaken City Lv1 for it’s most precious treasures, monster drops. Let’s go over a few things first. The goal here is to farm monster drops and more precisely gems. The “crown jewel” so to speak will be refining gems. Other items such as scrolls, runestones, and blueprints are also valuable. This build will run roughly 9-12mil in gold. As such it should no be your first character. Because of this I’ll assume you can simply power level the character to Lv45. 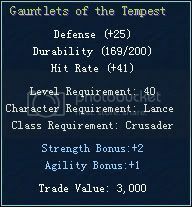 Agi and Str bonuses on equipment are interchangeable! This is because at Lv45 you will not have maxed Str. Therefore if you were to say use Str Rings as opposed to Agi Rings you’d simply use less of your additional stats towards Str and more towards Agi. This does NOT hold true for your pet! You’re pet should be purely Str. 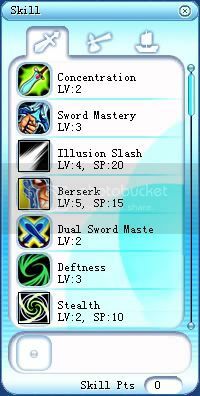 *The 2nd sword MUST be fused with Barborosa’s Fork and equipped in the left hand. This will eliminatethe need for Lv10 Dual Sword Mastery. 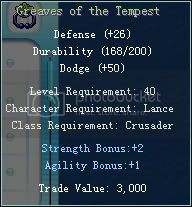 *These items are from Incantation Chest of Crusader. You’ll want to either use a SP Recovery Necklace, Physical Resistance, or Movement Speed Necklace. If your pet has Standard Meditation I would shy away from the SP Recovery Necklace. 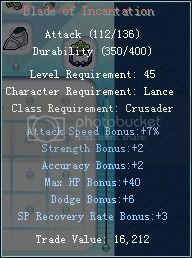 *Additional refers to stats you gain from leveling. 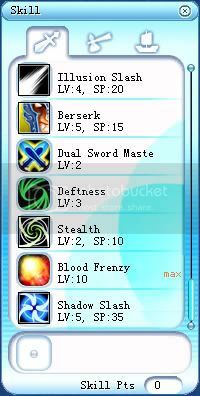 *At 31 Agi you’ll reach the 140 Aspd bonues for Illusion Slash. Your pet should be pure Str. As far as abilities are concerned you’ll want Standard Recover, Standard Berserk, and Standard Meditation. If you’re having trouble getting your pet to learn 3 skills drop Standard Meditation. Mmmm on my server the main concern in fc is to get rid of the enemy guild before they get rid of you so that way you can farm without getting disturbed, they also use a lot of landing and all sorts of clever traps……. 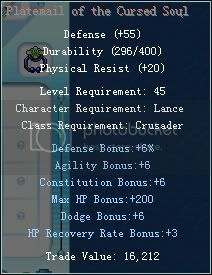 Will these stats work anyways?